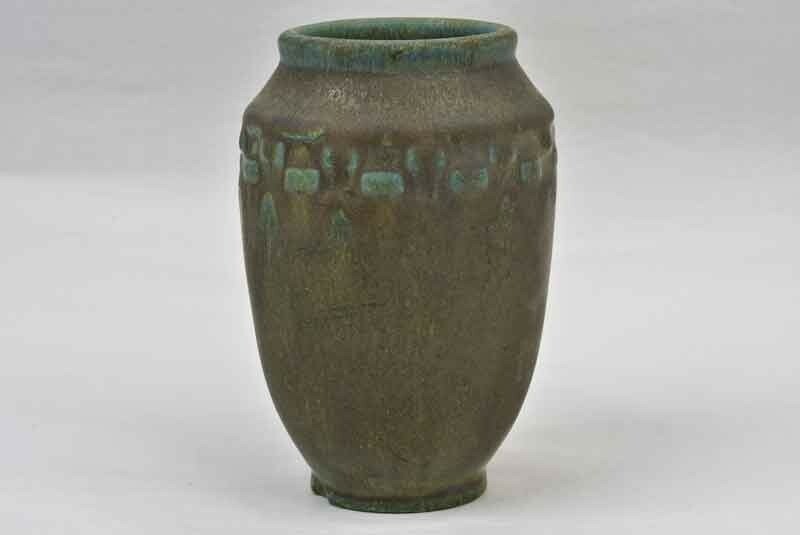 Rookwood Arts and Crafts Incised Block vase, Mat Blue Green Charcoal glaze, Uncrazed. 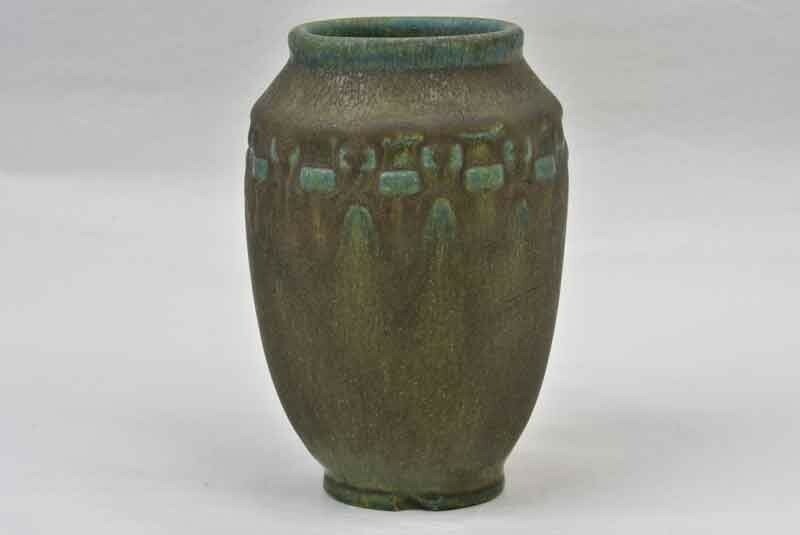 This outstanding Arts and Crafts style Rookwood vase from 1916 is a stunning example of that period. The glaze is expertly applied, and it is completely without crazing. 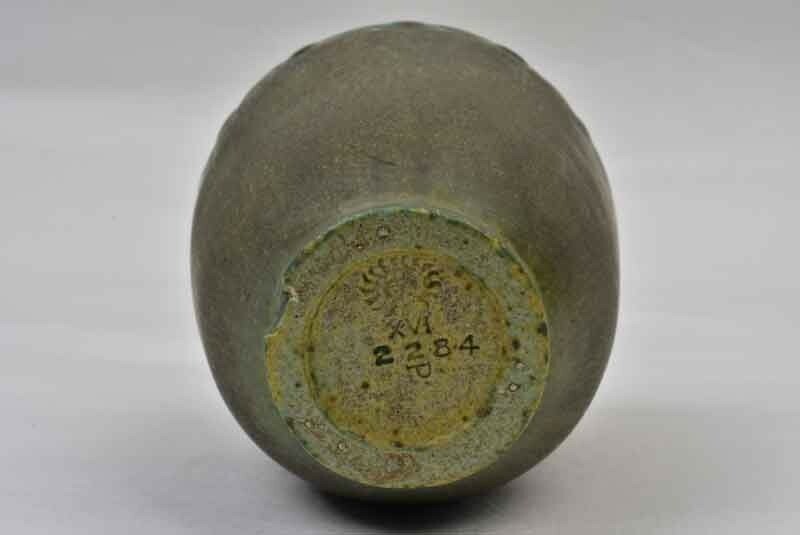 It is free from chips, cracks or repairs and is in excellent original condition. 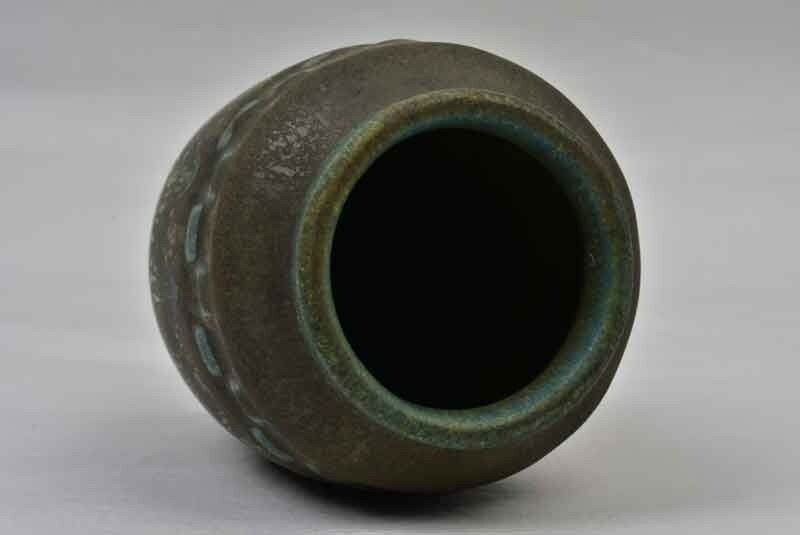 Outstanding example of this unique glaze color. Shape number 2284 P, it displays well, and is a great piece to accent nearly any decor. There are no cracks, and no restoration. Factory glazed chip to foot rim measuring about 1/4 inch. 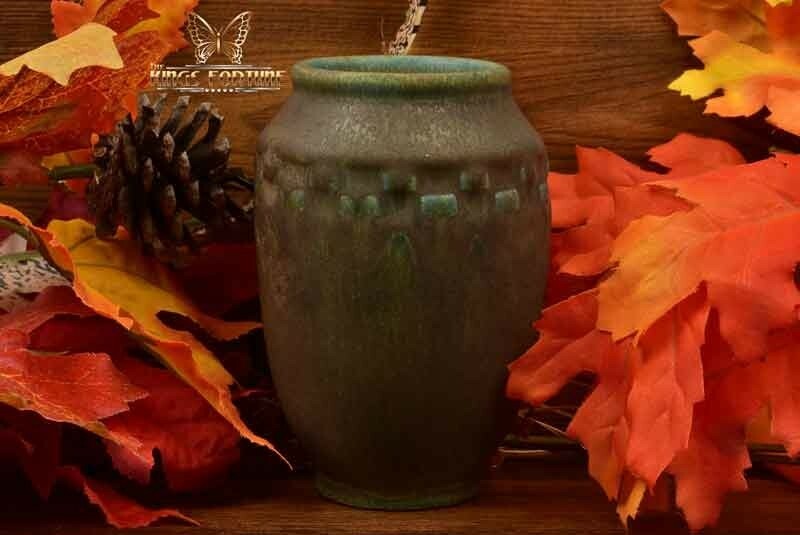 This is a gorgeous piece with a mat glaze color. Any non-perfections are from the firing/manufacturing process. Height: 4 1/2", Base: 1 3/4" , Rim: 2"